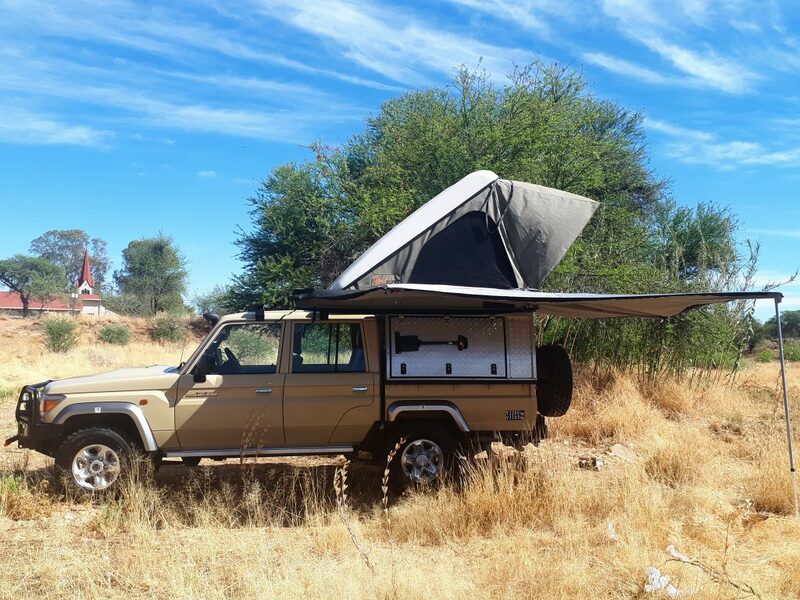 Camping in style is now possible with our luxury camping package. 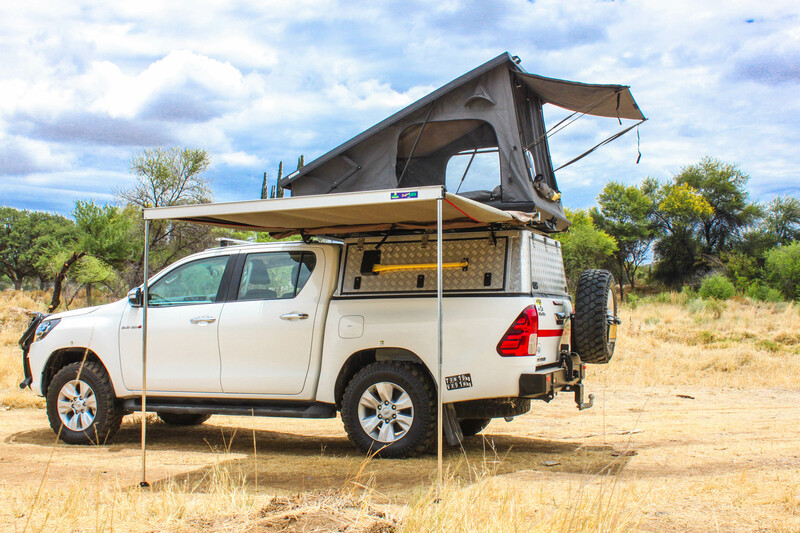 The hard top roof top tent accommodates two persons and is very easy to pitch up and close again. Your bedding, which can be left in the tent is dust and water free stored. An comfortable awning 2.40 m is also part of the luxury package, which ensures you enough shade. Please note that both items should be booked well in advance, to avoid disappointments and long waiting time in our office for the fitment.